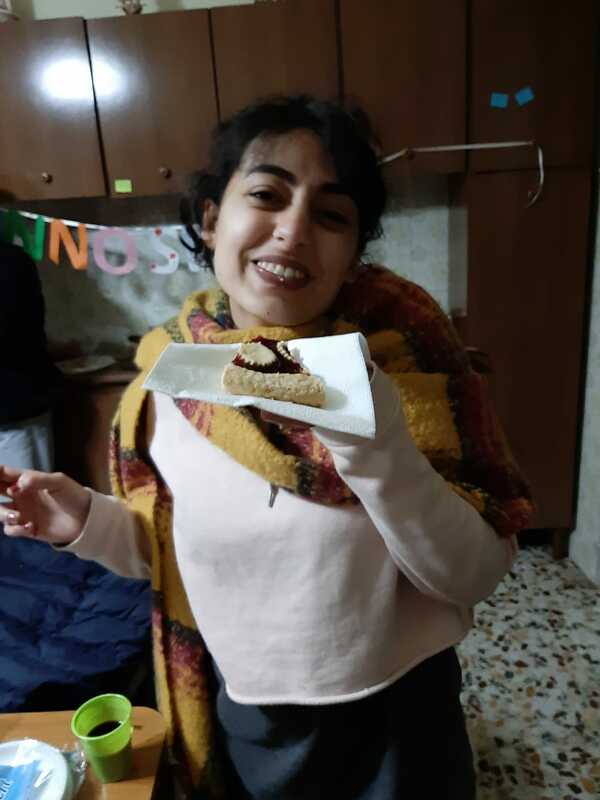 and there I was thinking that this year I will spend my birthday alone, far from my family, my beloved Caiazzo people with the help of the Giorgiiii, they organise for me a surprice party for my 24th birthday. On Saturday 08 of December, I woke up early in morning and I went out with Giorgi. Giorgi was really strange but I didn’t understood anything. At seven o clock in the evening we were about to come back at home and I stop to tabaccheria to buy cigarette. Giorgi didn’t wait for me he run back home with the exuse that he was really tired. At that point everything was normal. and Da da! I entered the kitchen and everybody was there! All these people, honestly they prepared an amazing party only for me! What i appreciate the most was that each of them prepared something handmade and brought it for the party. I am glad that I am here! That day I felt home! I felt that I will spend an amazing year this beautiful people.